Mean just got meaner. 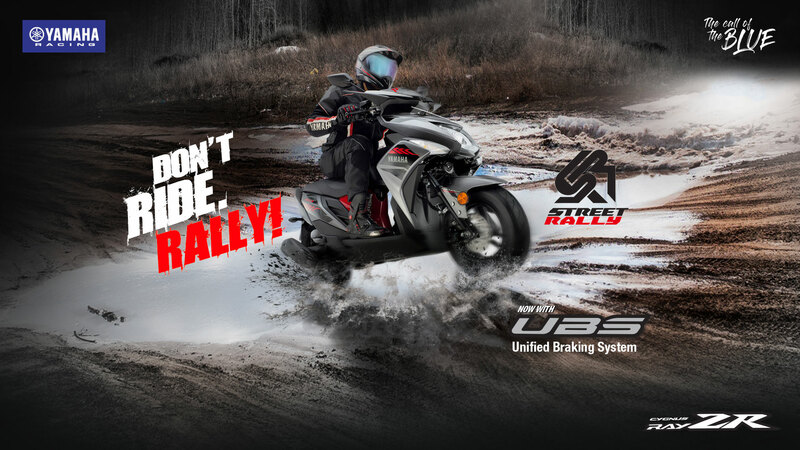 Presenting the all-new Street Rally. 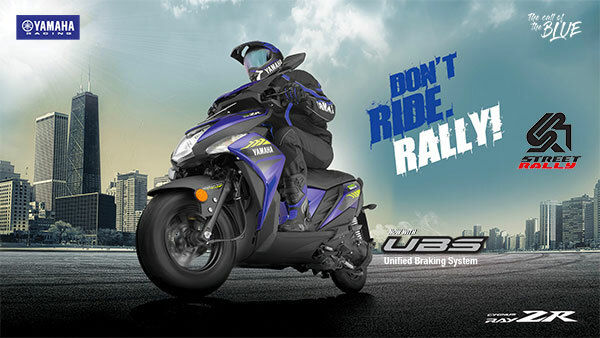 A sharp, sleek, swift and stylish machine for those who lives a life like a rally OR THRIVES TO RALLY. 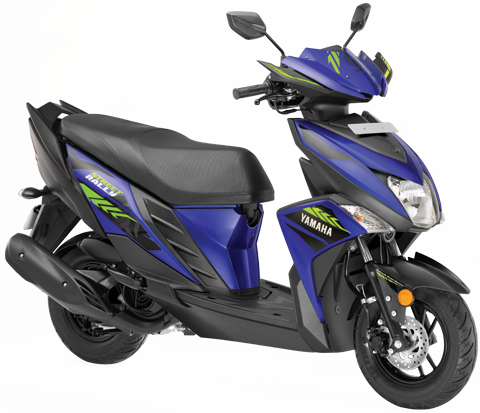 So, if it feels to be just a scooter, we suggest you take one for a spin. 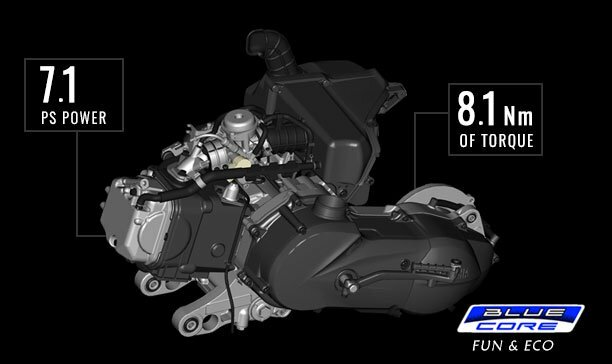 Powered by a 113cc Blue Core engine. 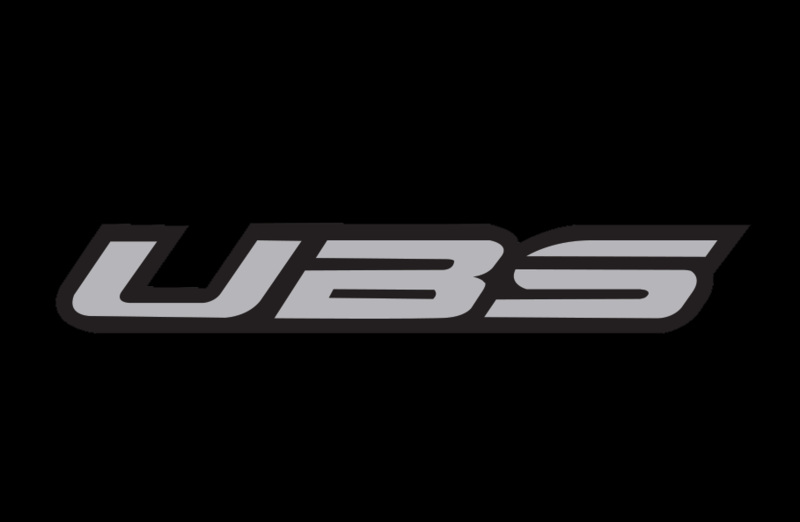 Equipped with a robust telescopic suspension, tubeless tires and a hydraulic disk brake. 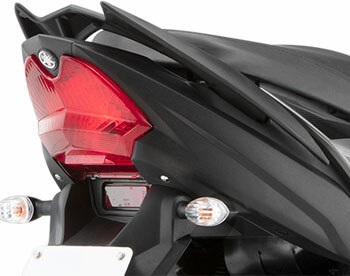 Geared with an edgy digital console, knuckle guards and plenty of room under-seat. And above all, brutal looks that tell you it's strictly not for the lazy. Which is why it comes with the message - Don't Ride. Rally! Designed for those who rev for something more than just a comfortable ride, the Street Rally is not just another scooter. 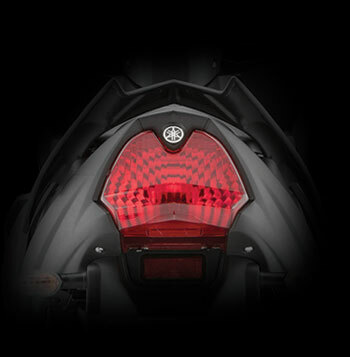 While its razor sharp design gives it a street presence like no other machine, it's not the only reason we gave it that name. Because it comes effectively/perfectly geared for the thrill it promises. Knuckle guards. 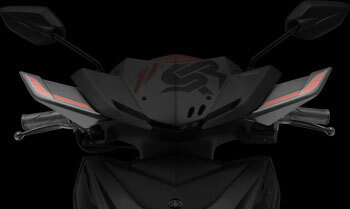 A bold new visor with a smoky finish and the stylish SR emblem. A well-equipped digital console. And graphics that are literally from the rally world. 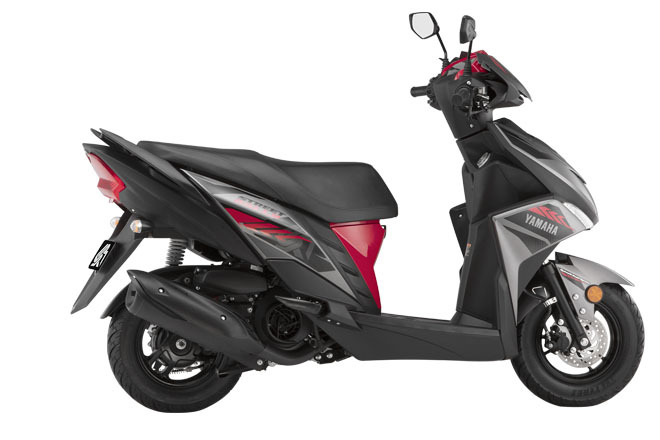 This mean machine comes in two colors - Rally Red and the iconic Yamaha Racing Blue. One look is enough to get your heart racing. When it has a knuckle guard, it's kind of screaming "I am evil." 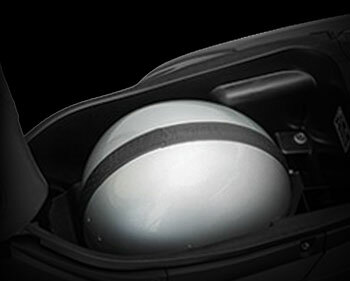 So turn to your rally mode as it is equipped to protect your hands from wind blast and that odd crash impact. It's sleek. It's sporty. 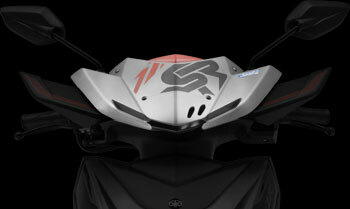 And the smoky design with the Street Rally emblem imprinted, it makes the machine's intentions loud and clear. 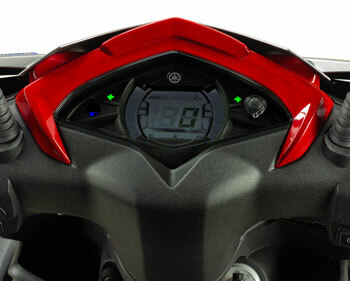 A feature-loaded cockpit designed for the modern street-sharp rider. Now, that's what we call really rally cool! It's clearly hard to keep it off the streets. And when you can store as much as 21 litres under that seat, you are ever ready for a spin. 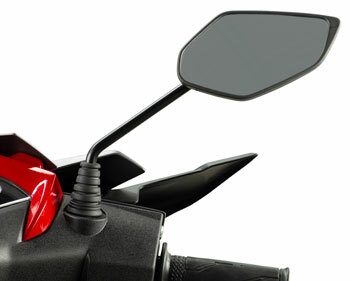 Borrowed from Yamaha's 249 cc beast FZ 25, these edgy mirrors further enhance the street-sharp look of the machine. 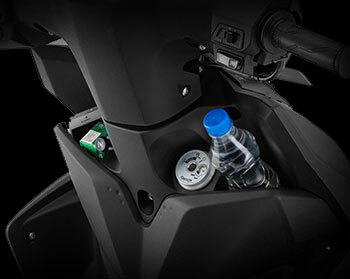 The front pocket is large enough to fit one 500 mL plastic drink bottle. 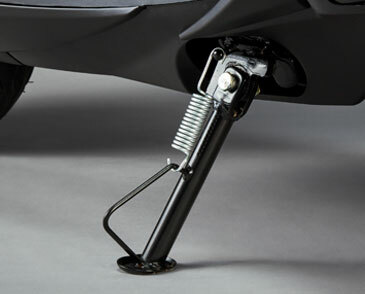 A convenience hook (maximum load capacity of 1.5 kg) for bags etc., is positioned below the seat in the 'foot well'. 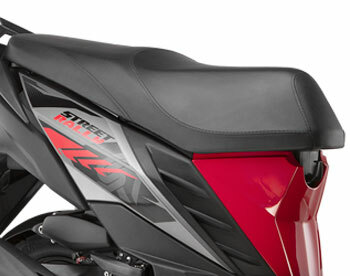 A two-level seat (raised rear section) with a sporty look is adopted. The tandem seat portion has slightly softer cushioning and has about 10 mm more cushioning material thickness than on the current models. The sitting spot is designed to evenly distribute the pressure from the tandem rider's weight to reduce fatigue and increase comfort, even during longer rides. 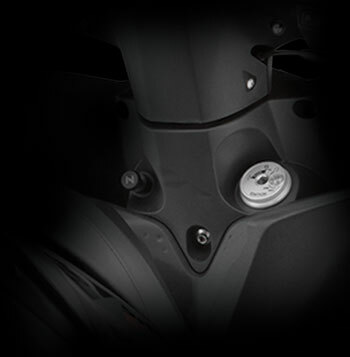 Also, an aluminum grab-bar is provided which adopts the same coloring as the model's body parts. 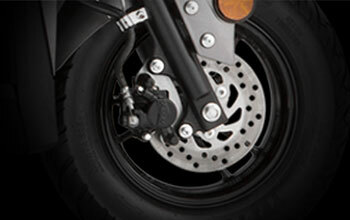 The front fender adopted on this model is a movable type that follows the movement of the front wheel. Its shape is designed to harmonize with the machine's exterior styling and add to the sporty look of the machine's silhouette. 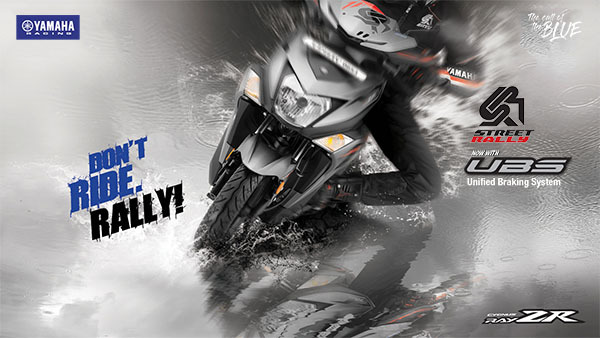 Of course, it is also designed to provide excellent protection against mud splatter. 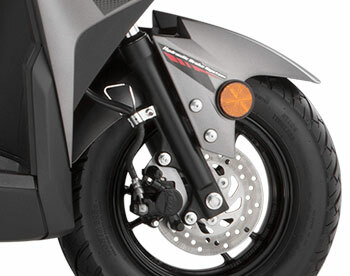 Street Rally comes with In-built side stand for ease of access. This is provided in addition to the upright main stand. 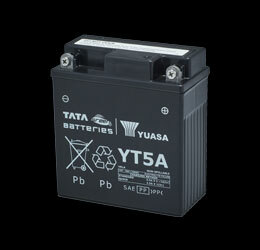 A ride can charge you up. Then why not your phone? Don't worry!  Because the Street Rally now comes with an (optional) under-seat USB charging port. So, next time, all you need is to lift that seat and plug in. And you can just go rallying while your phone gets charged.